It’s short, simple, and easy to use, and — best of all — it works! Let us introduce the Gaddie Pitch. 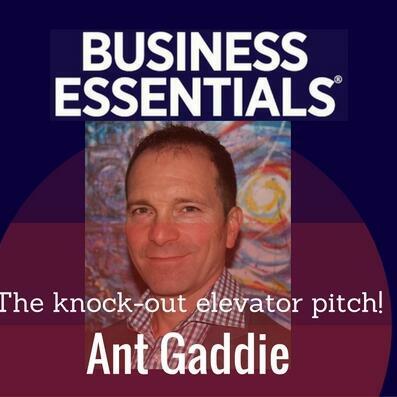 CEO of Green Ant Marketing, Antony Gaddie, has a perfected a wonderful three-step formula to selling. It’s been christened the Gaddie Pitch by his followers to differentiate it from the too many and often convoluted elevator pitches going around. The pitch has gone viral — sales teams are using it in the entrepreneurial mecca of Silicon Valley.